Although his IPL career is only a couple of matches old, Sam Curran has already made a telling impact. 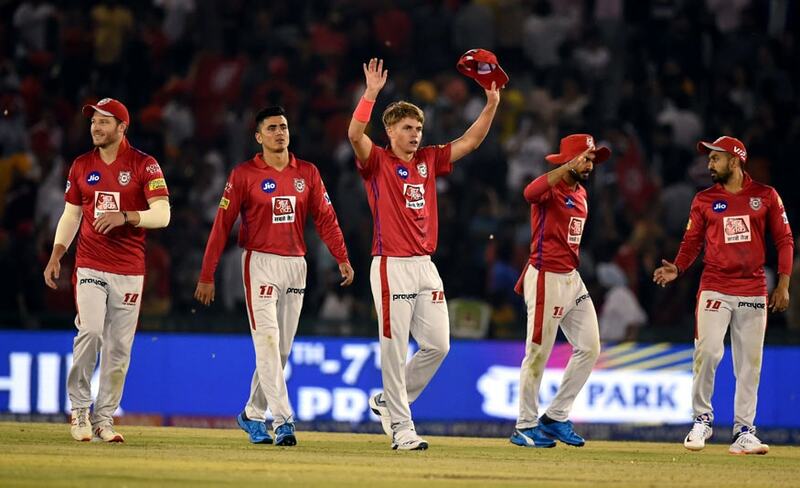 In his debut game for Kings XI Punjab, Curran was plundered for 52 in his four overs by the Rajasthan Royals though he did pick up a couple of wickets. However, in his second game the 20-year old produced a performance for the ages at Mohali. Replacing Chris Gayle at the top of the order, he made 20 in just 10 balls to get his team off to a rapid start. And with the ball, he played a key role in an incredible collapse that saw the Delhi Capitals lose seven wickets for eight runs. Curran finished with figures of 4/11 in 2.2 overs, including a hat-trick, and picked up the man of the match award for those heroics. It was a night he won’t forget in a hurry as Curran soaks in the intensity and demands of the IPL. “The crowds are huge and that is something I expected coming into the tournament,” he told CricketNext in an Exclusive interview. “The standard of cricket is extremely high and playing with some of the world’s best players. I am really enjoying playing at the moment and just taking it one day at a time. Although he isn’t part of England’s white ball plans, Curran attracted a massive bid of 7.20 crores at the IPL auction from KXIP. Quite clearly, Curran’s stock has grown after his eye-catching start in international cricket, especially his exploits against India in the Test series last summer. Curran, who took just one game to win his first man-of-the-match award, rescued England several times in the series with telling lower order contributions and chipped in with wickets at crucial stages, to be named England’s man-of-the-series. While the IPL is the immediate focus, there is a huge English summer to look forward to for the Zimbabwe born Curran with the World Cup, immediately followed by the Ashes. Though he is a long shot to break into a strong England team for the World Cup, with 454 runs in 16 innings at an average of 32.42 and 15 wickets already in his young Test career, England will rely on him to win back the urn. Curran is hopeful he can be part of a squad that gives the nation something to cheer about. Curran of course is part of a strong English contingent that is currently in the IPL with his teammates Jos Buttler and Jonny Bairstow showing sparkling form for Rajasthan Royals and Sunrisers Hyderabad respectively. Curran is convinced that the exposure will only benefit them as cricketers and is eager to ensure that he contributes towards a memorable season for KXIP, who are yet to win the tournament. “Everyone knows this is the biggest T20 tournament in the world and you’re playing with some of the greatest players in front of big crowds,” he says. “So, there is no excuse, it’s a tournament from which we can all learn something and take back.